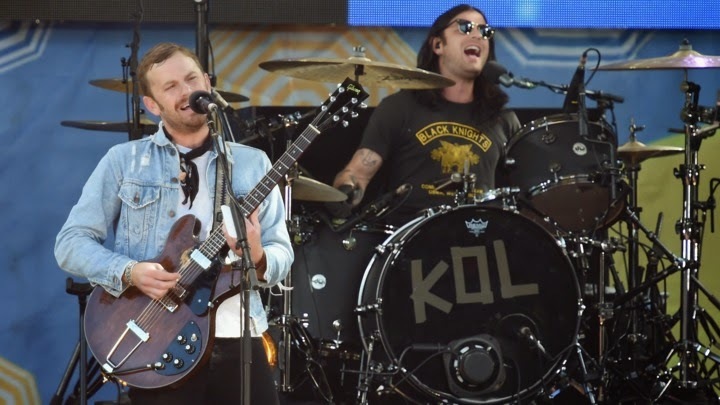 Kings of Leon were forced to postpone a Sunday night show in Saratoga Springs, New York, after drummer Nathan Followill was injured during a tour bus accident on Saturday night. Bassist Jared Followill offered an update on the accident on Sunday morning. And Nathan himself weighed in a short time later. Thank you for all of the get well soons. I'm a little banged up but will be back better than ever. At press time, there was no update on whether the band would be able to get back on track for a scheduled spot on “The Tonight Show” on Tuesday night or for their show on Wednesday in Wantagh, New York, at the Nikon at Jones Beach Theatre. A spokesperson for the band could not be reached for additional comment. KOL have 29 more shows scheduled through October, including a headline spot at the Made In American show in Philadelphia on August 31.